Since November 2009 the mannequin manufacturer ‘Proportion London’ has supported the work by allowing access to their showroom and factory. 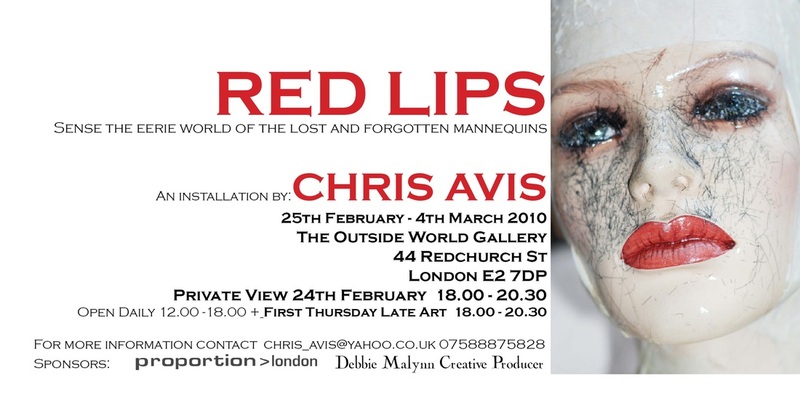 In February 2010 eight mannequins the 'Florence Sitters' were made available for an installation in a solo exhibition ‘Red Lips’. This took place in Redchurch Street, Shoreditch, London in February 2010 in line with 'London Fashion Week'. 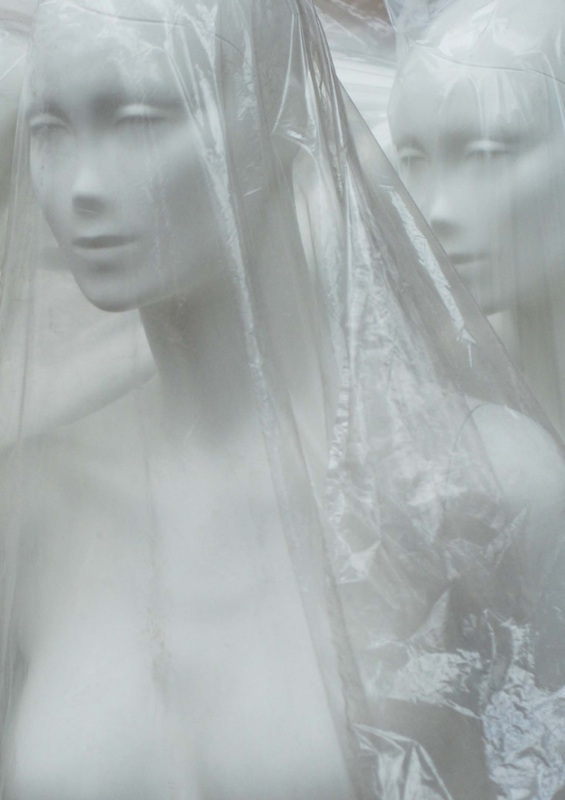 The installation was dominated by two photographic enlargements of mannequins appearing to escape from sheets of transparent plastic. These were taken in the factory where the ‘Florence Sitters’ were manufactured. The viewer experienced a cold, white, swirling, slightly disturbing shrine with the only colour coming from the repeated red lips. Gentle rhythmic whisperings came from the core of the seated mannequins. 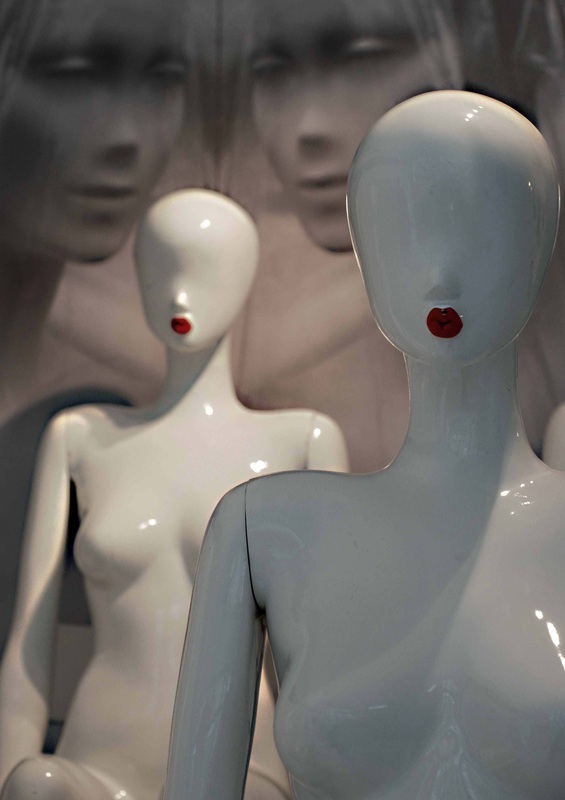 The rhythm was punctuated with short sharp phrases about red lips, appearing to come from individual mannequins. 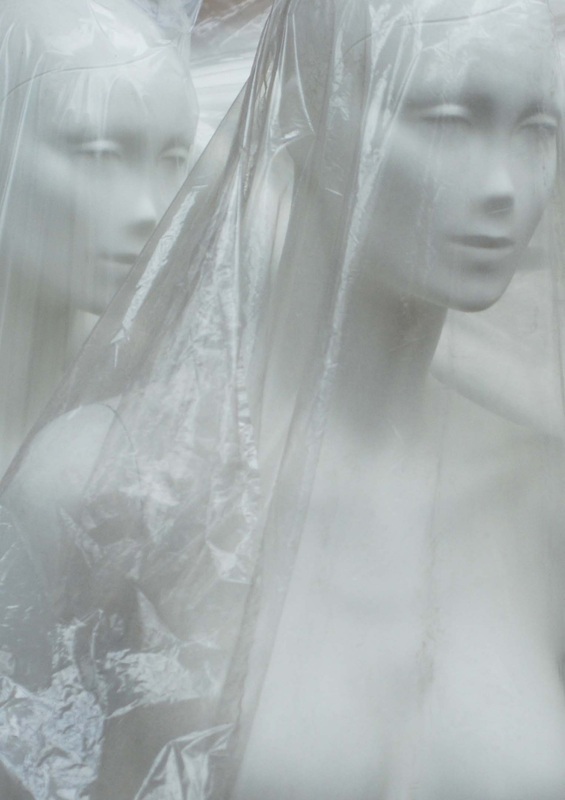 The sound related to the factory experience where a vast unheated store housed shivering, silent stacks and rows of white mannequins. The installation existed on the edge of the acceptable, close to being a shop window display, but presented as a parody. 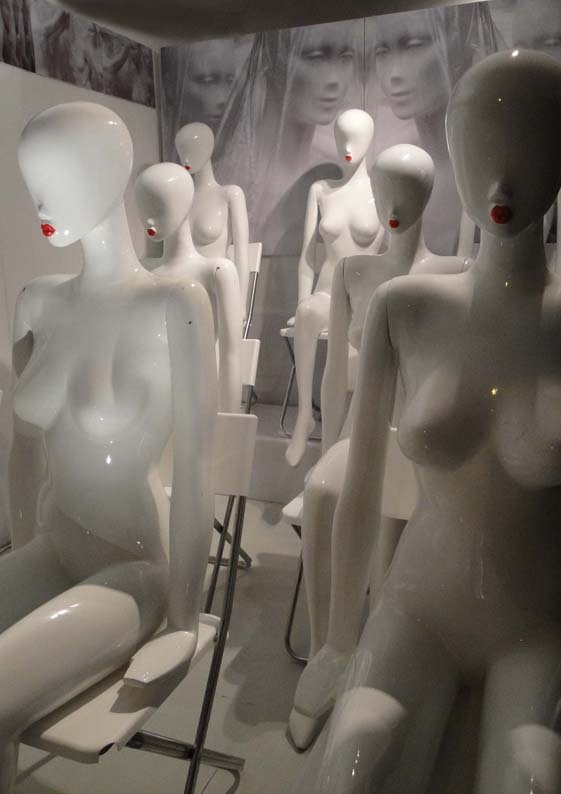 A satirical desperation existed with the sound of the mannequins parading their red lips. Parallels can be drawn with so many women who slap on the lipstick and put on ‘the face’ in order to hide reality.